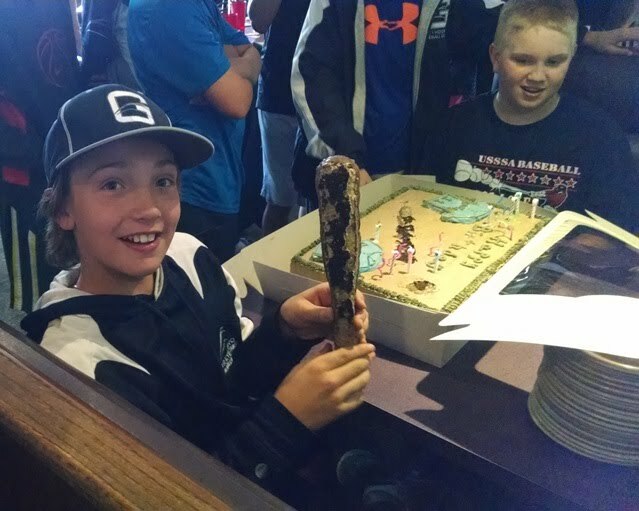 Greyhound Baseball Club celebrated birthdays for our oldest and youngest player on Saturday, May 17 at Shields Pizza in Macomb. Peyton turned 13 on Saturday, and is the first Greyhound to reach his teenage years. 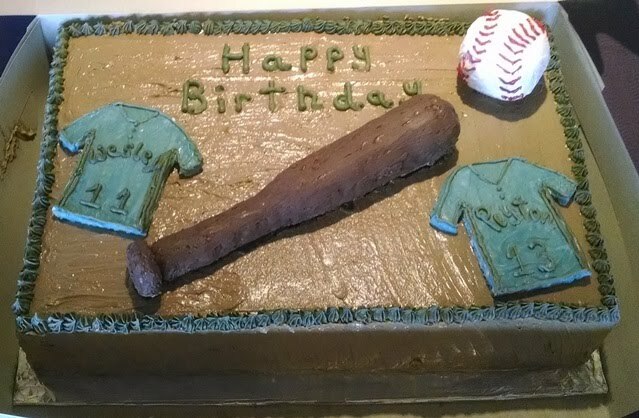 Wesley is our youngest player, and he turned 11 on May 5. The team went on to play a double header on Saturday evening against the Eastside Niners Red, and ended with two wins, and a 5-0 record in the MABF "A" Division. It was a a great finish to an exciting day of Greyhound Baseball! 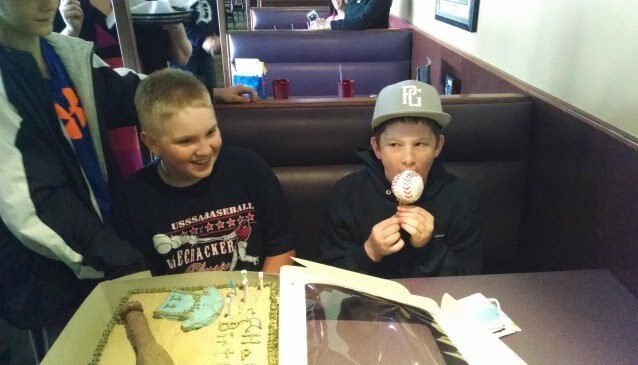 Peyton & Wesley....We hope you both had an exciting birthday celebration with the team.